It's getting harder but it can still be easily done. Netflix is securing the borders of its US library, but the latest crackdown is another token effort in a war it can never win. Every few years Netflix declares war on geo-dodgers who mask their location so they can sneak into the US library to watch content which isn't available in their own country. These people are still paying customers, they just refuse to abide by the international rights agreements and release schedules which the content giants use to maximise profits. In Netflix's defence it has no choice but to abide by these rules if it wants access to the latest blockbuster content from the Hollywood movie studios. The streaming giant has embraced the idea of simultaneous international release for its own Netflix Originals content like House of Cards and Daredevil, but third-party rights agreements mean that it can't throw open the doors to its entire US library. 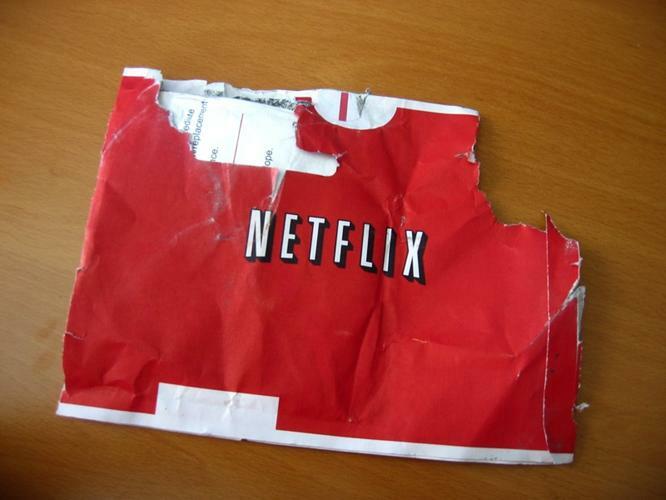 Long-time Netflix users know the service goes on the geo-dodging warpath every few years in order to appease rights holders. They never win, but that's not the point. Rather than completely stamping out geo-dodging, the aim is to make it so unreliable in the short-term that your average person puts it in the too-hard basket and decides to stick with their local Netflix library. Most news reports reinforce this by implying the blockade has been completely successful. "You seem to be using an unblocker or proxy. Please turn off any of these services and try again." The geo-dodging services quickly deploy countermeasures, although some are finding the cat and mouse game with Netflix more challenging than others. It pays to have a few options at your disposal so you can jump between them in order to ride out the disruptions. There are two main ways to cloak your location so you can bluff your way into the US Netflix library – a Virtual Private Network or a DNS-based workaround. Some people use these terms interchangeably but they mean different things and work in different ways. Sign up with a VPN provider which operates US servers and you can dig an encrypted tunnel to a major US city where you emerge looking like a local so you can stroll into US Netflix library. It's simple to run a VPN on a computer, smartphone or tablet but not on home entertainment devices such as Smart TVs, Blu-ray players, games consoles and streaming media boxes. It's easier to access US Netflix from your lounge room using a DNS-based workaround from the likes of Getflix, Unblock Us or UnoTelly. These services only require you to alter your DNS network settings in order to sneak past the Netflix US border guards. You can change the DNS settings in your broadband modem to issue a US green card to every device on your home network, although you may find this makes day-to-day web browsing more sluggish than using your Internet Service Provider's DNS servers. The alternative is to only change the DNS settings on the few devices you use to watch foreign Netflix, which is easy to do on most home entertainment gear (the DNS settings are hardwired into a handful of devices such as Google's Chromecast but you can take extra steps to bypass this). This way you can configure different devices in your lounge room to tap into different Netflix libraries, which is handy because the Australian library offers some content which isn't available in the US. You can also take advantage of local unmetered deals for Australian Netflix access. All the major DNS-based geo-blocking services offer free trials so it's easy to jump between them when one leaves you in the lurch, although it generally doesn't take them long to reestablish US Netflix access. The major DNS services operate a network of servers around the globe – choosing the closest to your real location offers the best performance but if US Netflix access is denied you can try another DNS server. It's a similar story with VPN providers, if US Netflix access is blocked you'll often regain access by switching to one of their VPN servers in a less prominent US city. Rather than rely on the VPN services from the geo-dodging specialists you might have more luck with an all-purpose VPN provider which doesn't specifically market itself as a geo-blocking workaround. They tend to run at least one geo-dodging friendly US server but try not to draw attention to it. The haphazard nature of Netflix's geo-blockade suggests that it may also be affected by whether you're using a US or Australian account and credit card. As a last resort you can test this yourself by engaging a US-based VPN and visiting netflix.com to create a new account. Avoid any link to Australia – use a Gmail address and pay with a prepaid credit card such as a Visa Load & Go from your local post office. For your billing address, use a coffee shop in a US state without sales tax such as Oregon or Delaware. The poor exchange rate makes this a more expensive option but a one-month free trial might offer enough time to see whether a US account solves your Netflix woes.